Banker's Blog: Iran shot down, or just lost? Iran shot down, or just lost? Okay, I'm with the guy that wrote this article. I highly doubt Iran shot down anything. Chances are they overhead that the US lost one of their drove and decided to capitalize on it. The thing is, I think it's scarier that the US lost the drone than being shot down cause most drones have autonomous modes that allow them to operate even when there is no communication with the control center. I'm always scared we're going to see the start of Google's (oops, I mean Skynet's) empire starting in my lifetime. 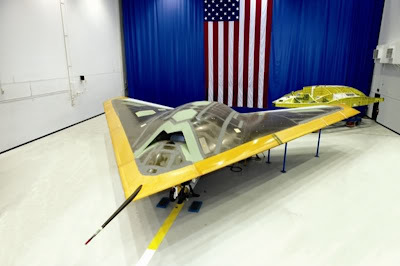 There were other covert projects either in still in development or was the predecessor of this most recent drone. One of them is named Dark Star. Both the name and the physical appearance of that drone is pretty insane. Considering these were developed in late 90s and very early 00s, I wonder how the current projects look like!